Shure PGX14 Wireless Guitar System DJParts - All Variety of Parts that DJ Needs. Home > DJ Gear > DJ Microphone/Wireless System > Shure Microphone > PGX Wireless (UHF Frequency Agile Wireless Microphone System) > Shure PGX14 Wireless Guitar System - Free Shipping!!! Shure PGX14 Wireless Guitar System - Free Shipping!!! 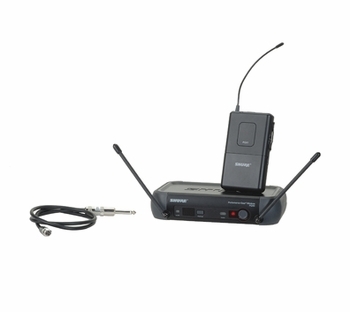 Includes WA302 Instrument Cable, PGX1 Bodypack Transmitter, and PGX4 Diversity Receiver. Rugged system for guitar and bass, provides clear audio across models and playing styles.